"Twinkly and always dignified": Harry Potter actor, Robert Hardy dies at 91. 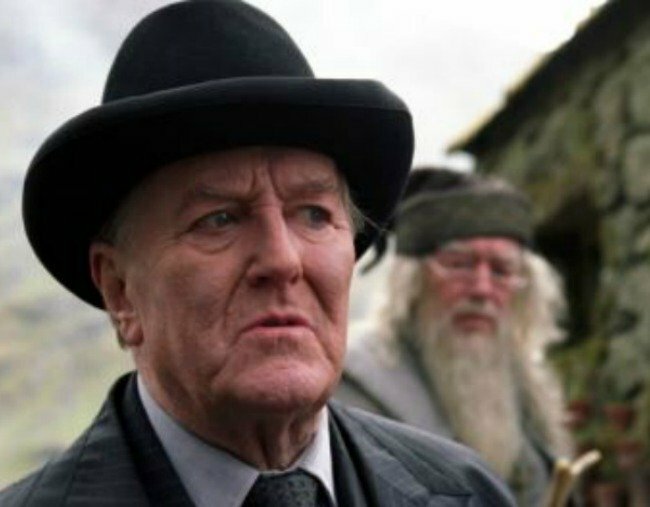 Robert Hardy, known for playing Cornelius Fudge in Harry Potter, has died. British actor Robert Hardy, known for his role in the Harry Potter movie franchise and as the star of the TV series All Creatures Great and Small, has died. He was 91. Hardy died on Thursday, according to his family who confirmed the news to Variety. Hardy played Cornelius Fudge, the Minister for Magic, in four Harry Potter films beginning with Harry Potter and the Chamber of Secrets in 2002. He reprised the role in 2004’s Prisoner of Azkaban, 2005’s Goblet of Fire and 2007’s Order of the Phoenix. The actor also played Winston Churchill several times throughout his career, including in ITV’s eight-part series Winston Churchill: The Wilderness Years. But his television career’s crowning achievement came in the role of Siegfried Farnon on All Creatures Great and Small, which ran on BBC1 between 1978 and 1990. Born in Cheltenham, Hardy began his career in the UK as a stage actor. He continued to work as a dramatic actor throughout his career, including an appearance in the BBC Television Shakespeare production of Twelfth Night in 1980. An established voice actor as well, he played Lord Malan in His Master’s Voice, which aired on BBC Radio 4. The family’s statement also remembered Hardy as “a meticulous linguist, a fine artist, a lover of music and a champion of literature, as well a highly respected historian, and a leading specialist on the longbow”.